Are you a landowner whose fruit trees are dripping with fruit, but you have no time to pick them? Would you benefit from having access to healthy fruit but have no fruit trees of your own? Is your garden overflowing? Would you like to share the bounty with other members of the community? Do you enjoy the simple joy of harvesting fruit or vegetables in a group? If so, the Gleaning Project is for you! 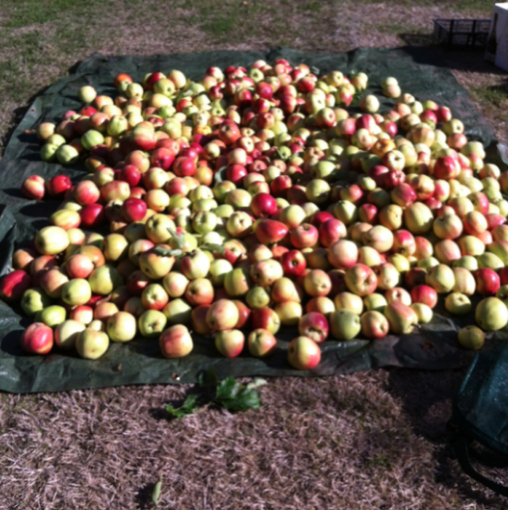 The gleaning project organizes groups of volunteer pickers to pick excess fruit (and sometimes vegetables). The harvest is divided 3 ways: One third for the landowner, one third for the Food Program, and one third divided amongst the picking volunteers. The Food Program share is used in our events, as well as distributed via the clinic, school and food bank. We gather all of the harvest together first and weigh everything so we can do things as fairly as possible, and so we can keep an accurate record for our notes and our funders. It’s an exercise in working communally, and everyone takes home some fruit picked by each of the volunteers. We’re very excited to be adding the Mt. Sutil berry crop to our picking sites this year. We are very grateful to the landowners who generously host us, and work hard to be respectful of their space and property. That means we schedule picking times that are convenient to them. 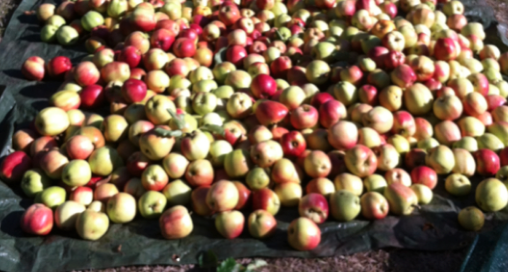 When we have a site that is ready to pick, we email the volunteer pickers to inform everyone of the opportunity. We try to give you as much notice as possible, but often the window is pretty tight – ripe fruit waits for no picker! should not expect to pick more than a handful of times each season. How often you can expect to pick depends on your availability and how bountiful a harvest we have from year to year—last year about 55 people participated in about 20 picking sessions. If you are offered a chance to pick, please take that commitment seriously. We know that things come up and sometimes it is necessary to cancel—in that case please give us as much notice as possible so we can replace you. That lets us visit a site with the right number of pickers and get all the ripe fruit, rather than have to return multiple times to the same site. Some people want to pick but they don’t have a use for all of their share. If this is the case for you, please let us know when you ask to pick – that helps us figure out the right number of pickers. If you would like to be notified about upcoming picking sessions, or if you have trees that need picking, or if you have any questions at all, please email Emma.